Oh Hey There! : Give Your Hair a Break! Recently I have learned that paying too much attention to your hair can actually sometimes be a bad thing. I have been doing a lot of hair masks and things that should be good for my hair recently and my hair has been feeling great. Then suddenly it went a bit frizzy and limp. Overworked and Built-up Hair Needing a Break. I realised that I had been overdoing it a bit and that my hair was probably a bit overworked and suffering from some build up. I had not been doing anything bad to my hair I had just been doing too much. The easiest way to fix this is just to stop I have found. Which as a hair product addict can be hard but it is needed from time to time. 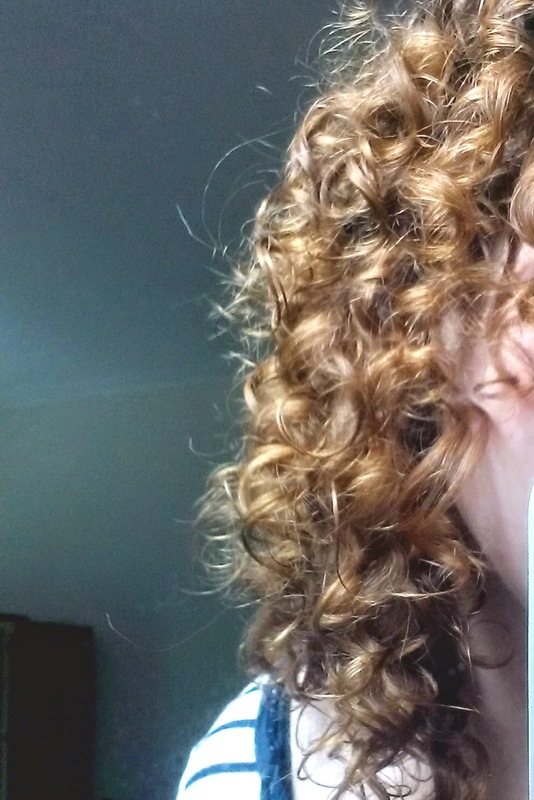 It can be a good idea to start with a clarifying low-poo or an ACV rinse, which is what I did. Then I just left all product out of it for about a week. At the end of this process I then did a coconut oil, honey and conditioner mask and things seemed to be back to normal. If your hair suddenly starts misbehaving with no notable change in products or routine then it could be a number of factors ranging from weather to lack of protein but I think the most common is probably build up/ over treating. I would definitely recommend giving your hair a rest for about a week and seeing if things improve instead of other options as often if our hair is frizzy and limp we will reach for the product and treatments thus worsening to problem!